You have been pregnant now for eight weeks if we count by gestational age and your baby has been developing for approximately six weeks since conception. How’s your baby measuring up this week? She is about a half to two-thirds of an inch long – the size of a kidney bean. Around this time your baby is still growing by leaps and bounds. 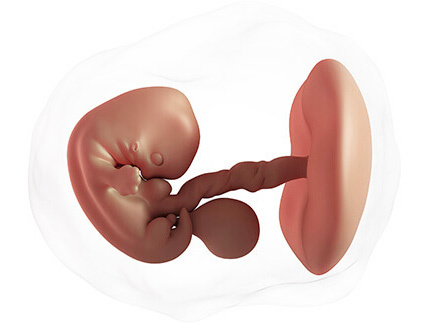 Remember he or she only has nine months or forty weeks to develop into a full-fledged human. The baby’s heart is bigger now, and the circulatory system has executed its blueprints for its highways: the basic arteries and veins have formed too. If your healthcare provider chooses to perform an ultrasound at this stage of your pregnancy it will show the fluttering heartbeat of your baby. 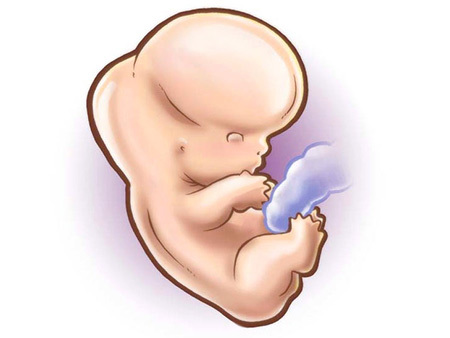 Baby’s elbows will begin to form and finally the arms and fingers start to develop fully. During this time your baby’s leg buds will begin to show feet. On these miniature feet there will be tiny notches where the toes will eventually be formed. 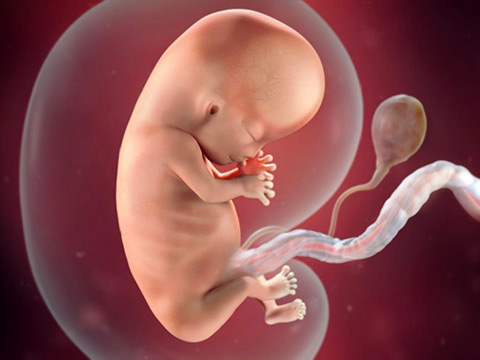 The intestines will also start to form in the umbilical cord. Did you feel that? Of course not. 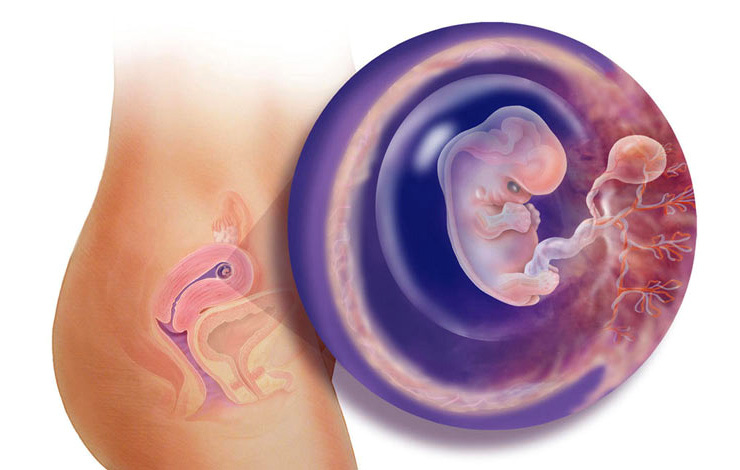 The fetus may begin to move, because the bones are harder now, the arms can even flex. But you cannot feel these movements yet. The baby’s brain is getting so big that the head has to catch up with it to properly cover it with the skull. The face will continue to change and develop as the ears, eyes and the tip of the nose appear. His or her teeth will begin to develop under the gums. Who does baby look like, Mommy or Daddy? Well, you can flip a coin, because you still can’t tell. Is it a boy or a girl? Maybe the ultrasound can’t pick it up yet, but the gonads are developing. By now, the symptoms that you have experienced including missing your period, morning sickness, for example, have made it more obvious that you are pregnant. Your body will show new symptoms of your pregnancy. Your uterus will finally begin to enlarge and it will be about the size of an orange. You may find that waist may be getting a little bigger. If this is your first pregnancy you probably are not showing yet. If this is not your first pregnancy you probably have a little belly at this time. This is because your muscles and ligaments are a little looser from previous pregnancies and know what to do. Your emotions are still on that lovely roller coaster ride. You may find that you may cry easier than before. The hormones that your body is producing at such a rapid rate may cause you to develop pimples and other skin problems. This is because those hormones increase oil secretions in your body. These breakouts will eventually go away after your first trimester. If not, at least they will stop after the pregnancy is finished. Golly, this may make you feel as if you are a teenager all over again! Indigestion is a problem? That’s very common, as well as bloating. Your digestive system is slowing down so your body can squeeze all the nutrients it can to feed your baby: straight through the tiny umbilical cord. Showing yet? If it’s your first pregnancy, you might not show still, but definitely your waistline is expanding. So, especially if bloating is an issue, looking for maternity clothes will be a good start to get relief from those tight pants. This is a reminder to stay away from alcohol, drugs and tobacco. 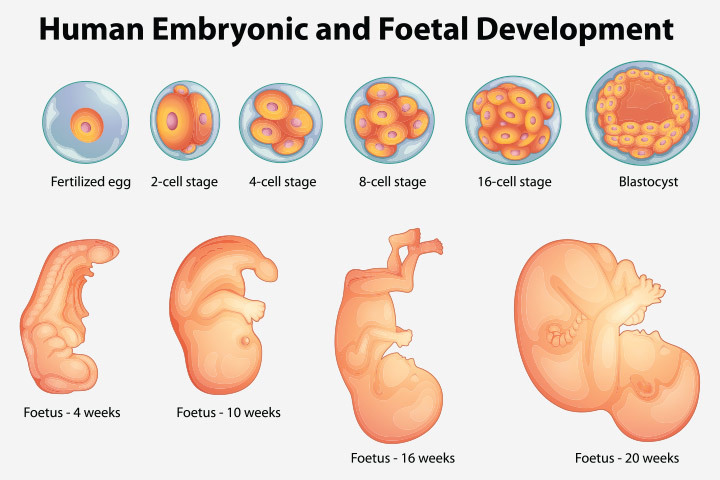 These stages in your baby’s development were designed through the ages to happen under clean and natural conditions: any toxins like those in smoking will mess up this delicate balance. Don’t take the chance: when you realize you love that baby more than the habit: it’ll be a cinch to quit. If you haven’t done so, please arrange an appointment with a doctor or other health care provider of your choice for proper pregnancy and delivery care and planning. This is important for your baby and your health too. At your first prenatal visit, you’ll have your weight taken, a pregnancy test, a urine test, and a pelvic exam (to measure the uterus size, check for changes in the cervix, and perform a pap smear). A blood test will be done to check for your “Rh” status. Are there twins in your family? You may have a higher chance then: tell your doctor. Are you diabetic, asthmatic, depressed, or have high blood pressure? This is important for your practitioner to know as well. Take note of any drug allergies as well. Remember if you have any questions at all about your pregnancy you should speak to your healthcare provider.